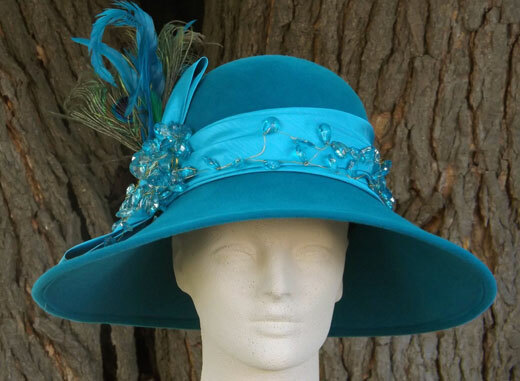 SIZE: 22 - 22 1/2"
This very special "Florence " hat is made from lush, teal velour felt, trimmed with teal taffeta fabric band and bow. 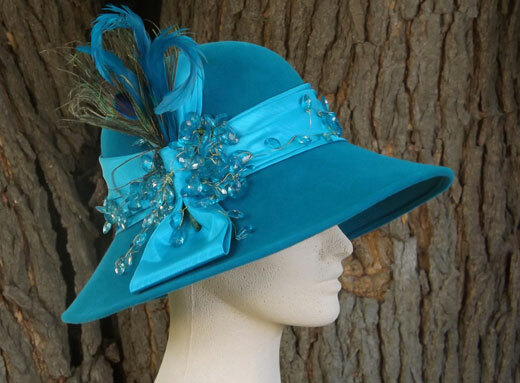 Adorned with peacock and teal hackle feathers. 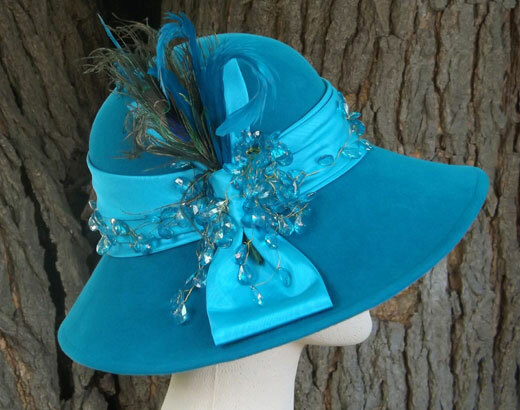 Wired, teal lucite beads drape the crown edge.